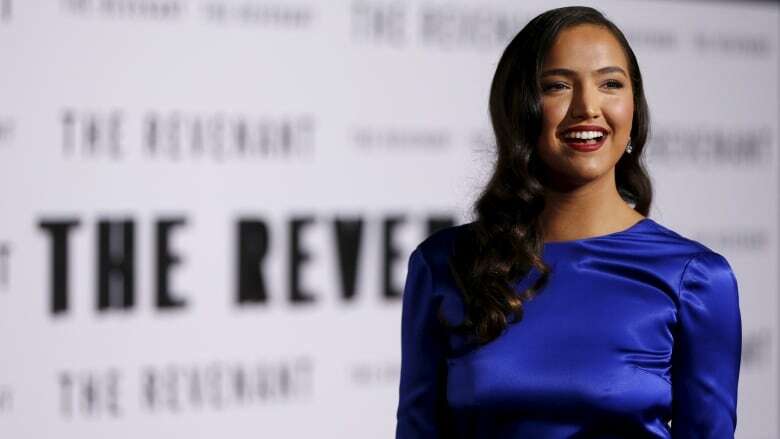 Secwepemc actor Grace Dove rose to international prominence when she appeared alongside Leonardo DiCaprio in the critically acclaimed 2015 film The Revenant. Since then, she's taken it upon herself to authentically represent her people and their stories on the big screen. Like many, Grace Dove is fascinated with the post-apocalyptic narrative. "I feel like in some way it could happen, and I think a lot of people think about that," Dove said. "What would happen if the grid shut down? How would people react? And especially, who would they turn to?" Hailing from the Canim Lake Band and growing up in Prince George, B.C., Dove believes she has the answer to that last question. "I truly believe that Indigenous peoples have a lot to offer, and I think that if that ever did happen, they would be running to us to help," she said. Dove's latest film, How It Ends, tells the story of a man in search of his pregnant fiancée in the aftermath of just such an apocalypse. The Secwepemc actor rose to international prominence when she appeared alongside Leonardo DiCaprio in the critically acclaimed 2015 film The Revenant. Since then, she's taken it upon herself to authentically represent her people and their stories on the big screen. "Having an Indigenous character written into these kind of movies and being represented in a good way is so important," she said. "I think every role matters at this point." Though she's seen big changes in the industry, even just in the last five years, she says authentic representation is still a problem for Indigenous people — roles that perpetuate harmful stereotypes and are often not even played by Indigenous actors. It's a common struggle for upcoming actors who also belong to visible minorities or other marginalized populations: do you take a role you're not comfortable with, or do you stand up for your beliefs, even if it means turning down a paycheque? For Dove, the answer is clear. "I believe that less is more," she said. "If I can have one or a few really powerful roles to start rather than just put myself out there, then that's going to build a long-lasting career, which I'm going for." "My representation of my people is much more important than my single career." Dove has nothing but positive things to say about her experience on The Revenant, and says representation in front of the camera continues to be important. But she says Indigenous people need to be involved behind the camera, too — writing, directing, producing and beyond. Would she consider directing herself? She feels like she's just starting to learn the ropes of acting — but already she's feeling limited. It's certainly something she'll consider pursuing in the future. "[If Indigenous people aren't involved in the writing and direction], it's still not a story that's being told from our perspective," Dove said. "It's not being told in our voices. It's not authentic to our point of view." "Until that happens, we never really will get to where we should be." With files from Daybreak North.